Thanks for your interest in becoming a member of Dig Safe System, Inc. 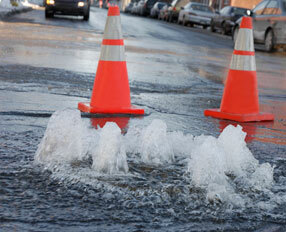 Joining Dig Safe is a proactive measure in preventing dangerous and costly damage to utilities. Dig Safe is a call center that accepts utility locate requests from excavators and notifies member companies of planned excavation work conducted in areas where they own or maintain underground facilities. Data Sheet provides us with your company's contact information, and your specifications for call center notification and map indexing. Purpose and Objectives explains the different types of membership, costs, and the GIS/GPS map based system Dig Safe employs to screen out unnecessary notification for members. Articles of Association - The original copy of this legal agreement must be signed and returned to Dig Safe for membership to be official. By-Laws - The official rules governing the affairs of our organization. Receiving Dig Safe Notices - Most Dig Safe members use a dedicated email address to receive excavation notices, and some use ticket management software. Click here for a list of software vendors. Please do not hesitate to contact us with any questions regarding Dig Safe membership by calling 781-721-1191, or email amy.worden@digsafe2.com. We look forward to working with you!